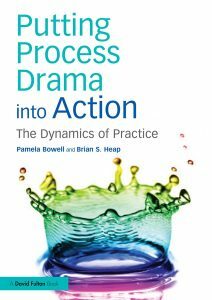 Here is a range of resources that I hope you will find helpful in supporting your continuing drama work. I have included some items that are about planning process drama in general but also a number of very detailed units of work that have been created to support literacy. In each I have suggested writing opportunities that could arise in and from the unfolding drama. If you would like to keep in touch about these resources or the work we did together in Dublin then I am just a click away. Just hit the email address at the top right of this webpage. My latest book with Brian Heap.